If you have never been in Scientology, this is a chance for you and your friends to find out the truth before you think about throwing away your life and your money. If you have been in, you know I am telling the truth. Thank you for reading. In his book Creation of Human Ability, Hubbard acknowledges that some people might think these drills hypnotic. But in actuality, he states, these drills "run out" hypnosis. "(They) induce no trances. People who think so simply don't know much about hypnotism." - This statement is what is knows as an "offensive defense", or in the fight game, "getting there first-est with the most-est" In effect, he is fighting the fight before there is a fight. Hubbard knew this and used it, not only for Dianetics, but for most auditing in one way or another. Now let's take a look at how it works in your first Dianetics session. You have had the personality test, and you have agreed that you need to change some things in your life. You really feel that this organization can help you. You know that you need help. Reality and Subconscious cooperation are already working. So you go into session and you are told to recall a time when, . . . .whatever. Imagination kicks in. You are already there. You now are in a state of rapport with the auditor which is a light stage of hypnosis. You are told that you are the one in control in a session. It is true. Guess what? This is true in hypnosis also. Furthermore, as much as Hubbard "said" there was nothing to Pavlov's Conditioned Response theories, he used them to further the goals of Dianetics and Scientology. As a matter of fact, the person being counselled is conditioned time and time again, each time he goes into session the state of rapport is reinforced until all it takes is for him to pick up the cans of the E-Meter and the auditor's voice to command "This Is The Session! ", and he is once more in that trance state. Ready for more post-hypnotic suggestions. Mind control. At least when you go to see a hypnotist you know you are going to be hypnotized. So who is more honest? The changing of loyalty consists, in its primary step, of the eradication of existing loyalties. This can be done in one of two ways. First, by demonstrating that previously existing loyalties have brought about perilous physical circumstances, such as imprisonment, lack of recognition, duress, or privation, and second, by eradicating the personality itself. The first is accomplished by a steady and continuous indoctrination of the individual in the belief that his previous loyalties have been wasted on an unworthy source. One of the primary instances of this is creating circumstances that apparently derive from the target of his loyalties, so as to rebuff the individual. Part of this is the creation of a state of mind in the individual, by actually placing him under duress, and then furnishing him with false evidence to demonstrate that the target of his previous loyalties is, itself, the cause of the duress. Another portion of this same method consists of defaming or degrading the individual whose loyalties are to be changed to the target of his loyalties, i.e., his superiors or government, to such a degree that this target, at length, actually does hold the individual in disrepute, and so does rebuff him and serve to convince him that his loyalties have been misplaced. These are the milder methods, but have proven extremely effective. The greatest drawback in their practice is that they require study and concentration, the manufacture of false evidence, and an operator’s time. The best approach toward degradation in its first stages is the propaganda of "scientific approach" to Man. Man must be consistently demonstrated to be a mechanism without individuality, and the idea must be programmed into a populace under attack that Man’s individualistic reactions are the products of mental derangement. The populace must be made to believe that every individual within it who rebels in any way, shape, or form against efforts and activities to enslave the whole, must be considered to be a deranged person whose eccentricities are neurotic or insane, and who must be referred at once to treatment. induced that will cause an adequate response to any command. No, the above passages were not written by Hubbard, but he was so impressed by them that, for a while, he had his Orgs print the booklet and pass them out as a "public service". The name of the booklet? "BRAINWASHING -A Synthesis of the Russian Textbook on Psychopolitics" Get it? How many of us worked unceasingly, day after day and night after night at meaningless tasks to further the cause of Scientology? How many of us wondered if we were going to have anything to eat at night, or have any time to eat it? How many of us slept on floors because there was no room for any more beds in the places we were staying and we were grateful for even that. And how many of us told our children "just go back there behind that desk and get a little sleep", when they complained that they were tired and wanted to go home. Yes, even onto the next generation does the brainwashing continue. But we thought we were doing the greatest good for the greater number of dynamics. Thanks for coming by today. I will have more for you later. 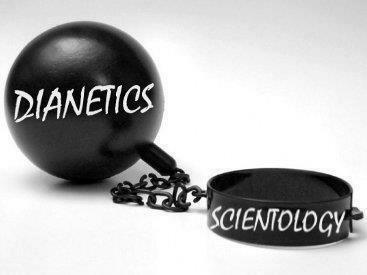 Please pass it along so others may not fall into the trap of Scientology. Thanks to Robert Peterson at androvillans.wordpress.com for the graphic at the top of this post. Some say Hubbard wrote it himself, but it's certainly a fake. Thanks for the comment Hartley, and thank you very much for the link. Even Nibs (Hubbard Jr.) said that Hubbard wrote it. in a very nice way. Thanks for sharing. This powerful sleep hypnosis app created by one of the UKs leading hypnotherapists, combines hypnotic guided relaxation sessions, a hypnosis session to help you rid your mind of negative thought patterns and a track of non verbal sounds designed to gently guide the mind to sleep. Darren uses his experience and background to offer you the help you need in a way that works best and most effectively right from your iPhone, iPad or iPod Touch. Sleep Deeply is designed to simulate as closely as possible what its like to see Darren for live sessions and at a fraction of the cost. Strange that it took so much time to state in, in some vert natural and logical way... Yet this is not the first sect and not the last... To deal with such a dizzy preachers and be independed spiritually I recommend studying some techniques of self-control of mind, Silva Mind Control etc. You just study it anf go independent from the fortune tellers, religious pedophiles or the psychopats obsessed with the control power, sect leaders... I did another Silva training many years ago, I remember well the techniques how to be assertive and protect my immunology from the tricky manipulators all around. Jose Silva was not a sect leader but awasome scientist, also exceptional healer of the 'no way to help' diseases. In a simple way you can study about the mind waves vibration and how to use it in self-healing, self-defense, immunology protection, thelepaty, getting free from mind control criminals, power obsessed criminal religious and sect leaders, thieves, time and space bending, techniques of memory, etc etc... There are special Silva lectures for the children, and believe me, the little kids in a dramatic way need this psychological knowledge today, to be on the safe side. Glad to read your informative post, keep sharing valuable information! Looking forward to seeing your notes posted. Can You Be A Christian Scientologist?